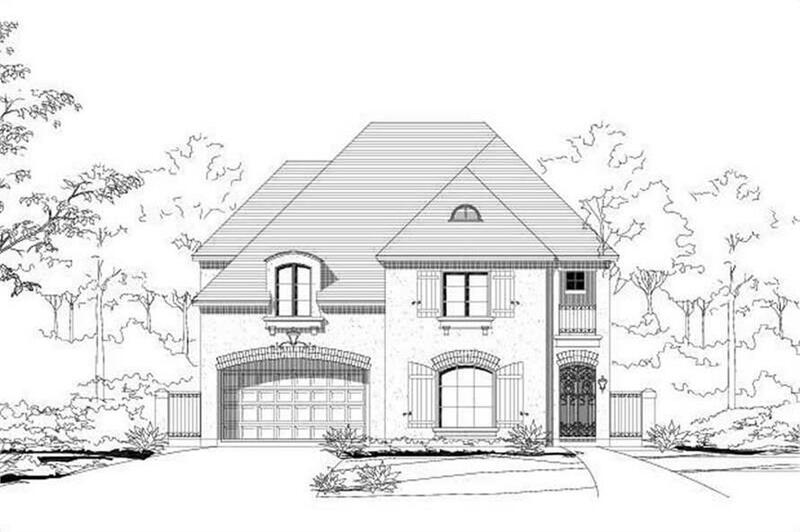 Home Plan #30437 is a two story country french style home with stucco exterior and 3746 total living square feet. It also has 4 bedrooms and 3 bathrooms as well as a straight in front load 2 car garage. This house plan also has 2 living areas and 2 dining areas along with having a butler pantry, a covered side porch, a master with sitting area, an outdoor kitchen, a theater/media area, a covered rear porch, an exterior balcony, an optional elevator, and a portico.